As a contemporary non-denominational wedding minister, I help each couple to create a unique and meaningful ceremony that is designed specifically for them and one that reflects the essence of their relationship and the spirit of their love for one another. Whatever size or location for your ceremony, my goal is to help create a ceremony featuring warmth, a light hearted approach and a loving and caring presence. If you are searching for a non-denominational wedding officiant in San Diego then you should look no further than Robert Stevens. He has been providing his services to his local community and further afield for many years and has got to know countless couples over this time. It is clear from the reviews left by previous couples and the huge number of accolades Robert has been presented with that each of the ceremonies that he conducts is meaningful and beautiful. Rev. Richleigh Powers has been joining couples in marriage in San Diego for almost three decades and now the weddings he has officiated number in the hundreds. With this level of experience you know that the entire affair will go smoothly and that every detail will be carefully thought through. Rev. Powers has published a book as a guide to couples looking to compose their ceremony, which makes him even more of a great choice of licensed wedding minister in San Diego. 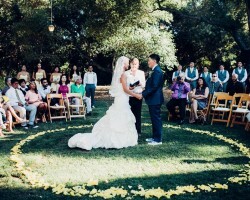 Unlike many other San Diego wedding officiants, Don Toshach was ordained by a large non-denominational Christian church and is a graduate from Dallas Theological Seminary. As a native Californian, Don understands what local couples are looking for from their wedding and it is clear that he delivers the perfect ceremony every time. In addition to being highly qualified and experienced, Don loves what he does and this passion can be seen in every ceremony that he officiates. 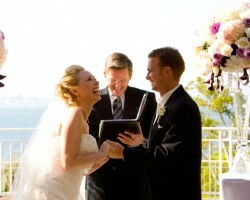 Speaking to this wedding minister directly will give you a better idea of the services he can provide. 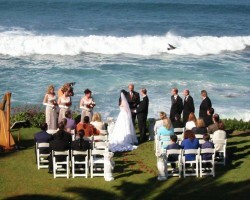 At Just Imagine Weddings they believe that every couple’s story can be told through their ceremony and their San Diego wedding officiants strive to achieve this every time. 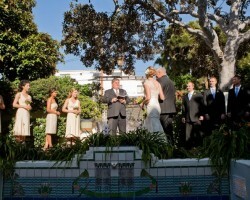 This is exactly why their ceremonies are tailored to each couple personally and will fit their beliefs and traditions. By speaking to these professionals you will also get great advice on your options. With this level of flexibility and understanding available for some of the most affordable rates in California, you will love the service provided by Just Imagine Weddings.